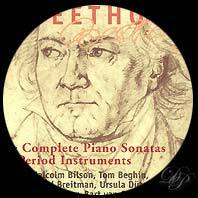 This recording allows us to discover the 31st Piano Sonata, Opus 110, composed in 1821, and the 7 Bagatelles, Opus 126, composed in 1823-1824. 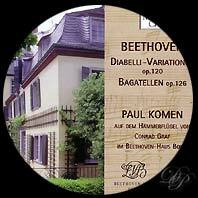 These works are performed on Beethoven's last pianoforte, by Jörg Demus. This is a Conrad Graf, that was loaned to Beethoven. It was not a present, as for other pianos. 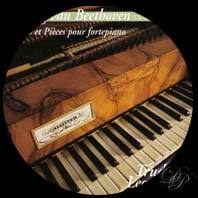 Beethoven used this grand piano from january 1826. It is today at the Beethoven Haus Bonn. 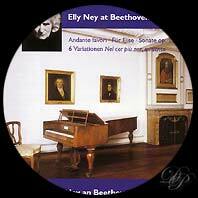 Elly Ney, recording in 1965, performs the Andante Favori WoO 57, Fur Elise WoO 59, the six variations WoO 70, and the sonata for piano opus 111, also on the Graf. Ces interprétations sont de très bonne qualité. Deux CD à réserver aux auditeurs qui apprécient le son cristallin d'un pianoforte. 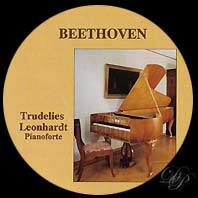 Trudelies Leonhardt has devoted her musical career to the Hammerklavier - the fortepiano. She treats us with her fine playing: her instrument sings through the delicate mastery of the pianist. A pleasure for the ear. - Piece for piano in B minor, WoO 61. - Sonata no. 27, in E minor, opus 90. 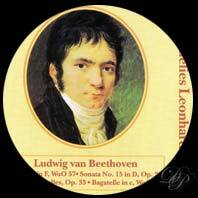 If you know little of Trudelies Leonhardt, you will profit from these two CDs which include some works less played than the sonatas, and which merits our attentive listening. This complete set gathers seven pianists of many nationalities: Malcolm Bilson, Tom Beghin, David Breitman, Ursula Dütschler, Zvi Meniker, Bart van Oort and Andrew Willis. They perform the sonatas of Beethoven on nine different forte pianos: five replicas of five octave pianos; a six ocatave piano by Salvatore Lagrassa from 1815; two six and a half octave pianos from 1830; and a replica of a six and a half octave Graf piano. 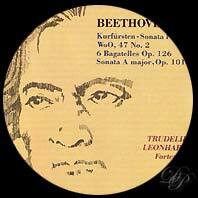 This set also includes the three sonatas of the young Beethoven: "Kurfursten". The Andante for piano in F major, the "Favori", WoO 57 also forms part of this collection.